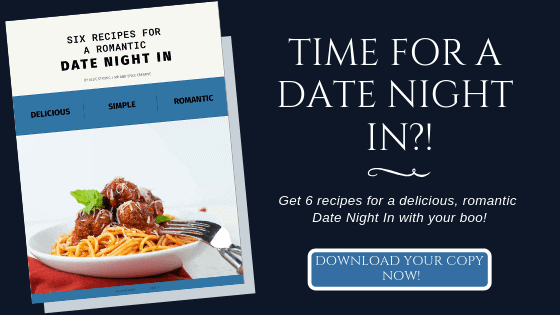 Thinking about ordering Chinese tonight? Stop, you don’t need it! 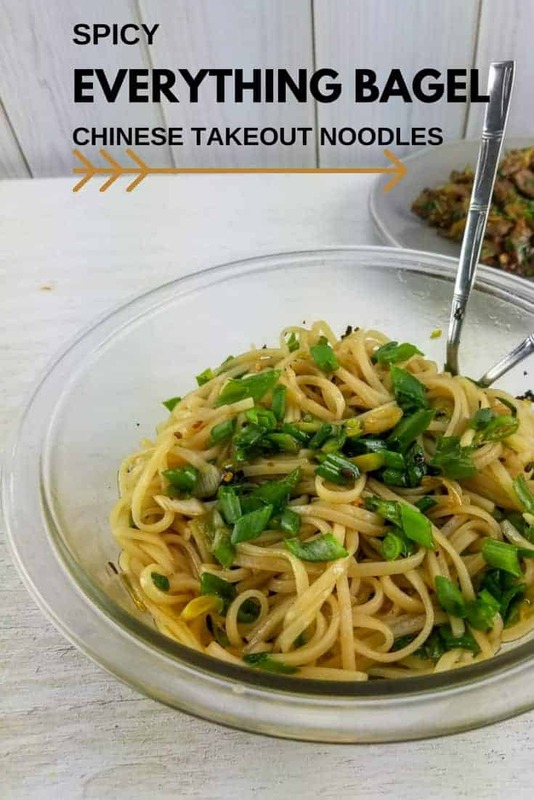 These Spicy Everything-Bagel Chinese Takeout Noodles are everything you’re craving, with a fun spin! And they only take 15 minutes to make. 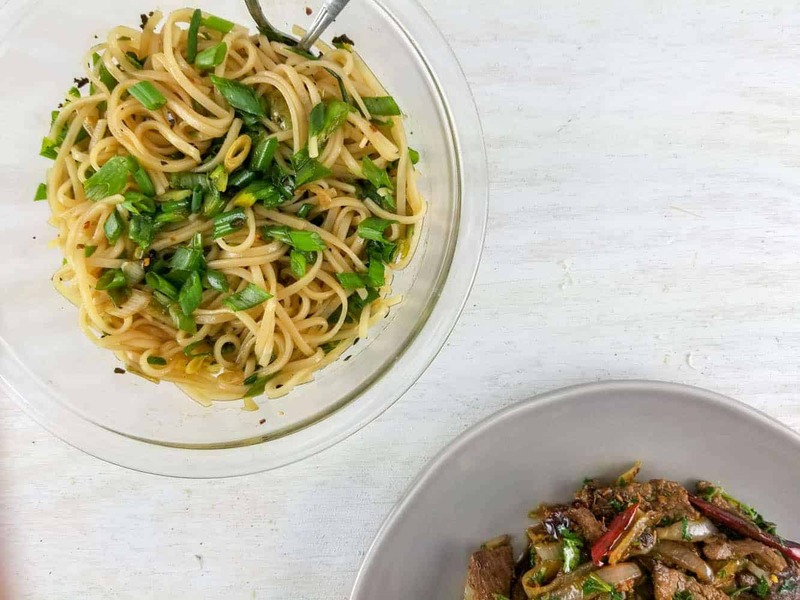 This recipe was inspired by the Chinese Pepper and Scallion Noodles from the new Milk Street Cookbook, but when we realized that we were out of sesame seeds (a vital part of the recipe! ), we had to make it up! But here’s the key to recipe genius here: Everything Bagel Seasoning is largely made up by regular sesame seeds and black sesame seeds—making it a perfect match for this recipe. Plus, the other flavors like garlic, toasted onion, poppy seeds and salt, definitely tie right in with the scallions and pepper flakes from the original recipe. Jack pot! This recipe basically only required fresh scallions. The rest of the stuff comes right out of your pantry. If you don’t have rice noodles, just use linguine or spaghetti—it’ll work perfectly! In a small sauce pan, heat the grapeseed oil over medium heat. Add the red pepper flakes and cook for just 2-3 minutes until fragrant. (Do NOT walk away—the flakes will burn). Remove from heat and stir in the white parts of the scallions. In a bowl, combine the soy sauce, rice vinegar, sugar and sesame oil. Pour in the cooked pepper flakes and scallion whites. Sprinkle in the Everything Bagel seasoning and stir together. Pour over the cooked noodles and add the scallion greens.